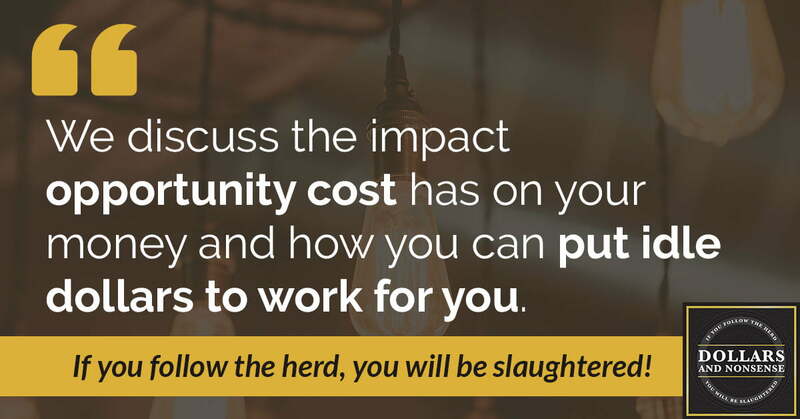 In this episode, we discuss the impact opportunity cost has on your money. Plus, we’ll share how you can avoid missing out on the wealth caused by idle or misused dollars. There’s an underpinning principle of the Infinite Banking concept we teach. 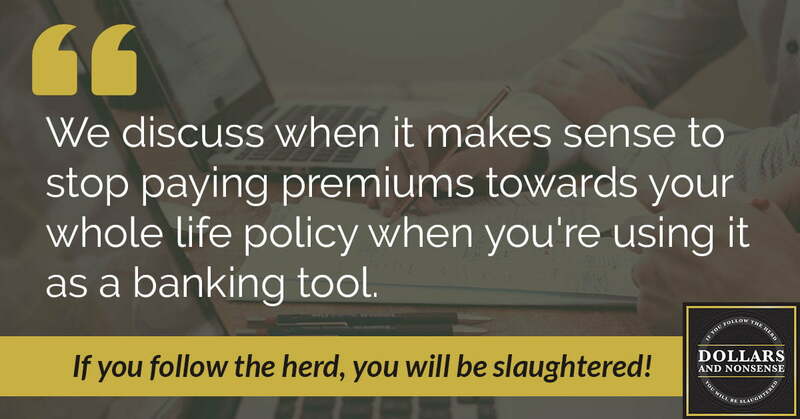 It underscores a lot of the financial decisions that you’re going to make. The principle is this: You finance everything that you buy in one way or another. You see, most people believe they’re financing something only if there is a loan process–purchasing a car, for example. Here’s what those people don’t realize: even if they pay cash for a car, you’re still financing it. People often think of financing being something only done through a bank instead. However, the reality is we finance our utility bills, we finance groceries, and we finance the gasoline that goes in our car. We finance all the things in our life whether we realize it or not. 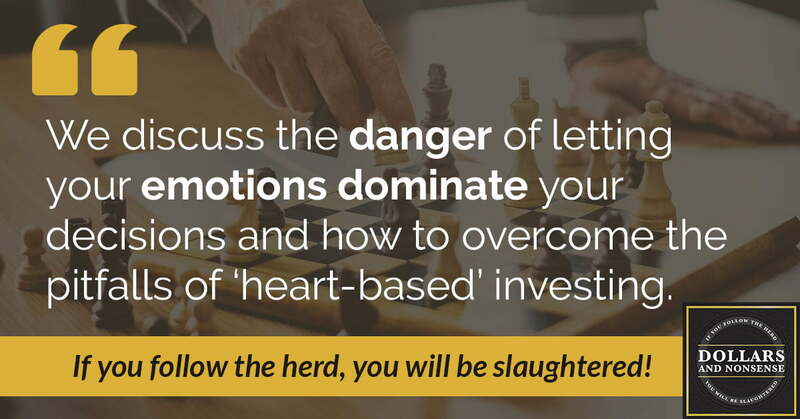 Join us as we explain in more depth and how to best implement this understanding. You can finance a purchase and it will cost you interest. You can pay cash for a purchase and loose out on potential interest earnings. In either case, you are financing your purchase. Either you’re going to borrow somebody else’s money and pay them interest, or you’re going to use your own money, spend it, and lose all the interest that your money could have earned you if you kept it. 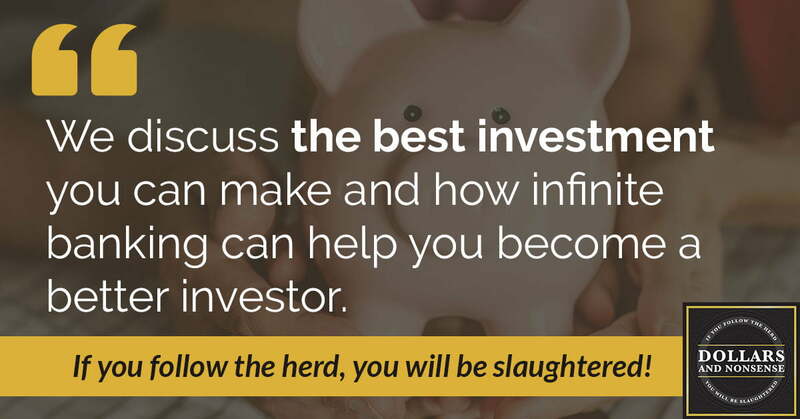 In this episode, we will discuss the best investment you can make and how infinite banking can help you become a better investor. Tune in to this episode of the podcast and find out now. 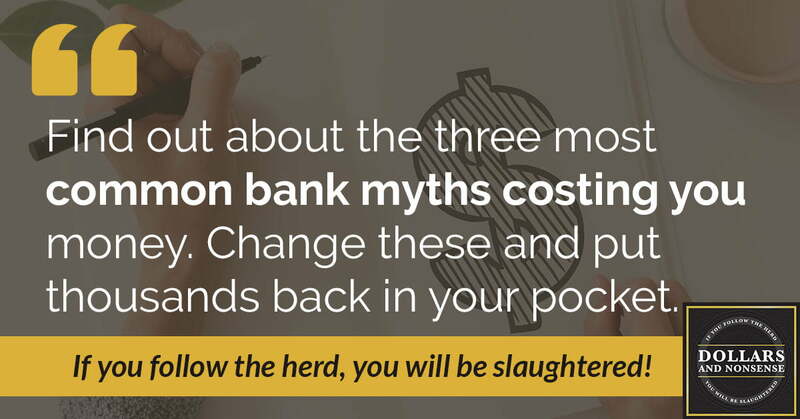 Find out about the three most common myths about banks costing you money. 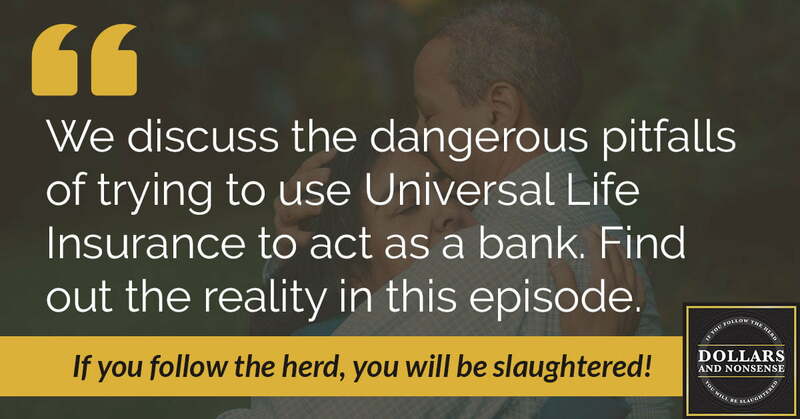 Changing the way you think about banking can put thousands of dollars in your pocket. 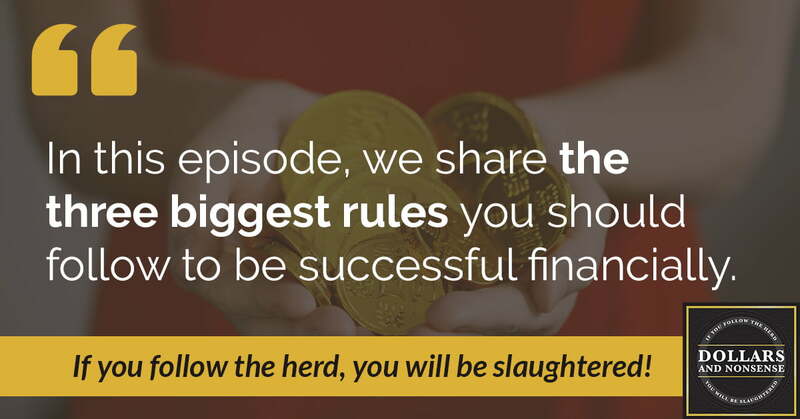 In this episode, we discuss what we believe are the three biggest rules you should follow to be successful financially. 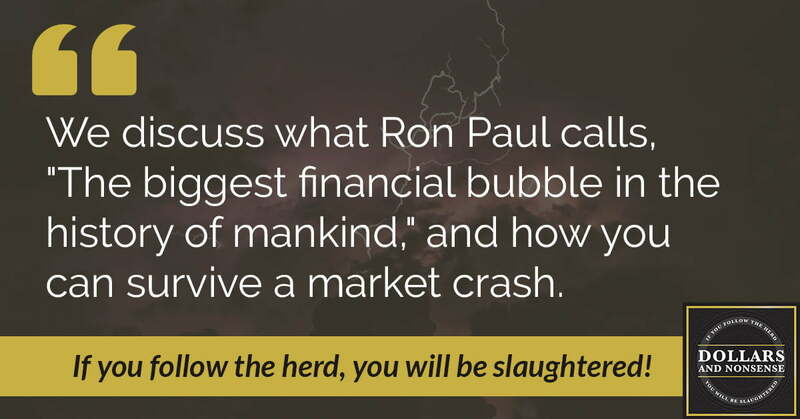 In this episode, we discuss what Ron Paul calls, “The biggest financial bubble in the history of mankind,” and how you can survive the next financial disaster. 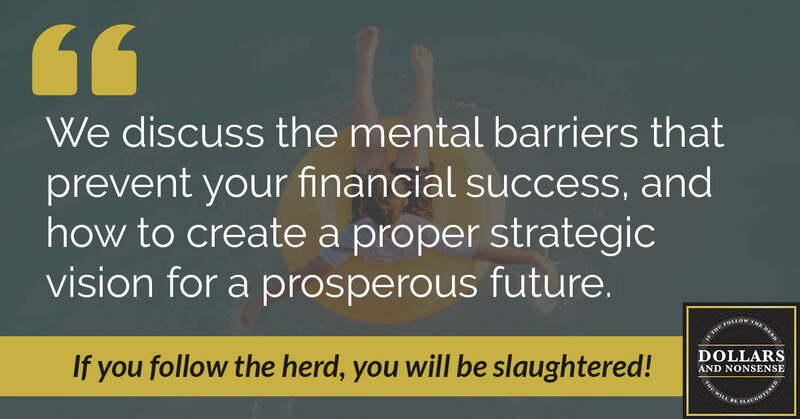 In this episode, we discuss the mental barriers that prevent your financial success. 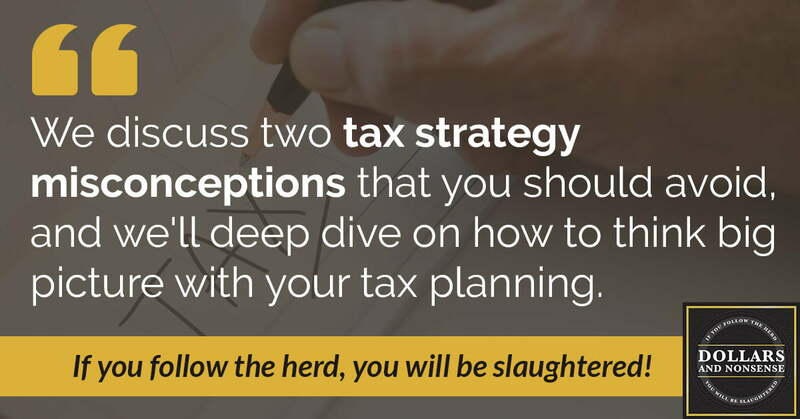 And we’ll share the things that you need to do to create a strategic financial vision to achieve freedom.